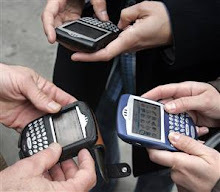 Blackberry Addicts: What have the Romans ever done for us? Gary Doer carpet-bombed the opposition in yesterday's Throne Speech, leaving them with not much but to regain their composure to perform the totally predictable chirping from the sidelines, before they returned to their offices to seek counselling for shock and awe syndrome. A commitment to build Conawapa on an early timeframe, up to 60% rebate to grads who stay in Manitoba, $4 billion plan to upgrade our highways, and more. Baby Huey says "no vision". Au contraire. The vision we submit is Doer doing what he does so well, reading Manitobans and meeting their top priorities as those evolve, with an eye keenly on the province's long term health. Market conditions look very favourable to increasing our hydro power output considerably. But the future is going to be even hungrier for clean energy, likely faster than any of us think. Getting Conawapa done at the earliest possible date is vital for the province's prosperity in the long run. The only criticism we have is the green light should have been turned on a lot sooner. The tuition rebate program is complete common sense -- the taxpayers invest in students' education, we should get some return on that investment. Commit to Manitoba for a period of time and the government will make a commitment to you. Shared responsibility. We agree with Curtis this will resonate well with Manitobans. We also agree with Curtis that it seems churlish of student political commentators to turn a lukewarm shoulder to the plan, after 7 years of cutting and freezing undergrad tuitions and record reinvestments in postsecondary institutions. Connecting student aid with a youth retention strategy should be something they embrace as part of a bigger picture. They have fallen down on this one with a criticize-everything stance that's wearing pretty thin. And of course the Tory proxies, like Adrienne Batra, are the most predictable of all criticizing that no NEW tax cuts were announced in the speech, dismissing the level of record cuts that the NDP has introduced over the past seven years. Of course her organization criticizes the lack of tax cuts in every jurisdiction in the country, even Alberta. So it's hard to see how one could possibly make them happy without completely dismantling government altogether. Overall, the commentary reminds us of the scene from Monty Python's Life of Brian, where the assembled Jewish malcontents ask "what have the Romans ever done for us?" The participants in the scene eventually concede that the Romans improved things with clean water, sanitation, irrigation, roads, medicine, education, and healthcare. But then retain their rebelliousness by concluding that besides all that, what have the Romans ever done for them? We wager Huey et al will look as silly to Manitobans with his weak protests as the Judean Popular People's Front. There's been media chatter lately confusing the issue of whether there are more or less young people staying in Manitoba. We remind of this recent release of data and this backgrounder -- a very illuminating comparison of Tory vs. NDP years.